LIFE JACKET 50N CE ISO 12402-5/ADULT 40-70 kg. Floatability aid. Ideal for rafting, water skiing and jet skiing. Weight: 40 / 70 Kg. Chest: 80 / 100 cm. The design of the buoyancy makes them ideal for water sports, offering the user comfort and perfect fit. Suitable for practicing water skiing, jet skiing and rafting. 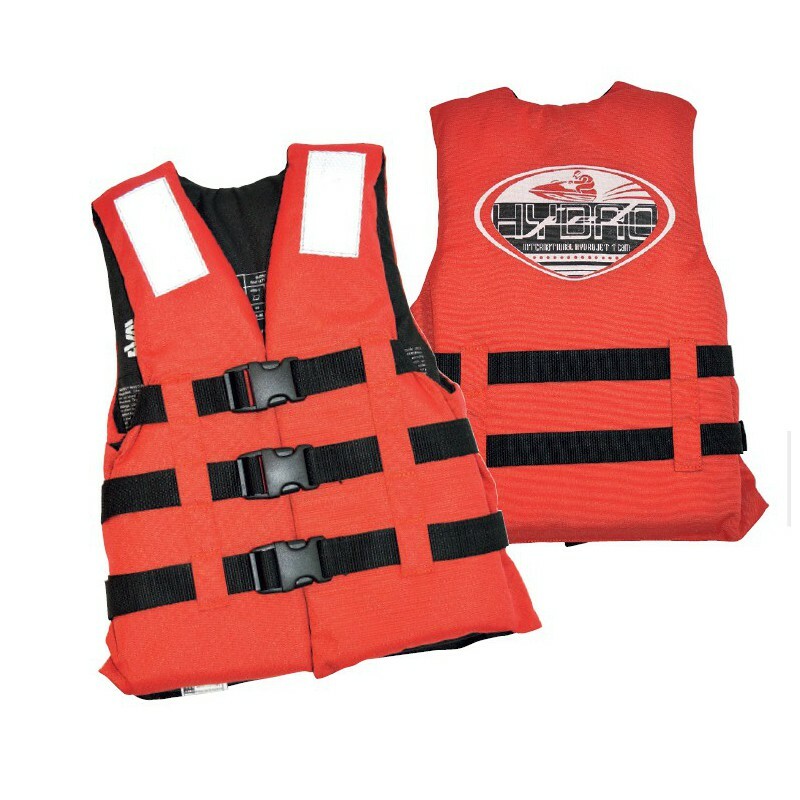 These life vests are made with high strength polyester fabric, and has 3 straps that give greater security. It is approved by the last European rule EN ISO 12402-5 to aid buoyancy of 50 Newton. It is available in 4 sizes, red with black interior and a motif on the back. SOLAS reflective tape available, and all materials used in its construction have been approved according to the European standard EN ISO 12402-7.